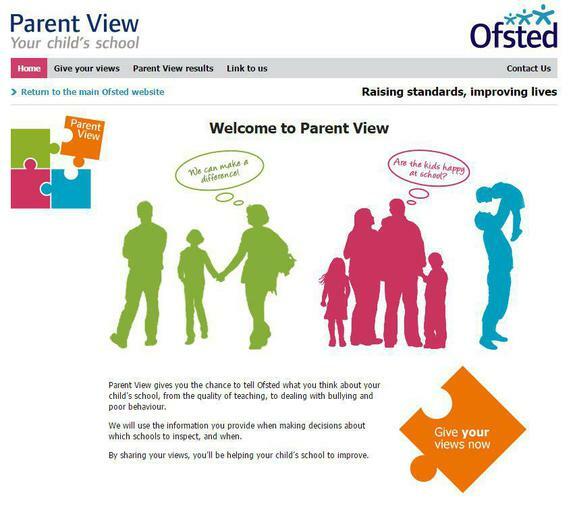 Ofsted has launched Parent View, a new online questionnaire that will allow parents and carers to give their views on their child’s school at any time of the year. Covering over 22,000 schools across England, the 12-question survey will help other parents as they make important choices about their child’s education and provide Ofsted with information about schools that will help inform priorities for inspection. You can access the site at https://parentview.ofsted.gov.uk/ after which you’ll be able to search for results for schools or if you have children attending a school, register to complete a questionnaire. The questions have been carefully chosen to cover those issues that parents have told Ofsted are the most important to them. They are also designed to provide Ofsted with the information to support decisions about inspection and will give headteachers a direct route into gathering the views of their parent group. We hope you find the new ‘Parent View’ service useful, if you’d like to tell us what you think of the new service, please use the contact us page. It doesn't take long. Log onto the Ofsted site and take just a few minutes to answer 12 very important questions about your child's education. We really want to know your views. Please don't forget though, that if you have a problem we want to do everything we can to help resolve it. Please contact us so we can help.